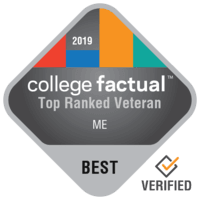 Newark, New Jersey – College Factual released its 2019 national and state rankings for Best Mechanical Engineering Programs for Veterans. New Jersey Institute of Technology performed especially well in these rankings. NJIT’s ME program is ranked #25 out of 272 for veteran friendliness of all colleges and universities reviewed by College Factual. This puts NJIT in the top 10% of all schools in the nation when it comes to offering a quality education to veterans studying ME. NJIT improved its ranking position 13 slots over the previous year’s ranking of #38. See the full ranking of ME programs for veterans. New Jersey Institute of Technology’s ME program is ranked #1 out of 6 colleges and universities in New Jersey reviewed by College Factual for veteran friendliness. This means NJIT is the best school in New Jersey for veterans studying ME. NJIT improved its ranking position 2 slots over the previous year’s ranking of #3. See the full ranking of Best for Vets ME programs in New Jersey. Based upon PayScale survey data*, a student who graduates from NJIT with a degree in ME realizes average early-career earnings of $53,424 and average mid-career earnings of $107,714. Learn more about majoring in Mechanical Engineering at NJIT. These rankings were developed to highlight schools that offer quality outcomes in a specific major while also offering support and resources to help veterans and active-duty military students thrive. Read more about College Factual’s rankings for veterans. New Jersey Institute of Technology is located in a city setting, serving approximately 8,200 undergraduate students. Roughly 140 of these students are GI Bill® recipients. See all the ways that NJIT is supporting veterans. College Factual, located in Troy, New York, is the leading source of data analytics and insights on college outcomes. College Factual provides in-depth coverage for over 2,500 colleges and universities and over 350 college majors. These insights are available to students from over 50 countries interested in pursuing accredited college degree programs in the United States. Learn more about the methodologies employed by College Factual. *Salary data is estimated by College Factual using 2013 data provided by PayScale.